14th edition of Asia’s premier distance running event, the Standard Chartered Mumbai Marathon shattered previous records by raising INR 32.93 crores for charity in aid of multiple causes including Health Care, Education, Disability, Underprivileged Communities, Women Empowerment, Animal Welfare, Environment Conservation, Grassroots Sports Development, Elderly Care, Gender Equality, and Social, Civic, and Community Development through the efforts of its Philanthropy Partner, United Way India. Commenting on this edition’s effort, Jayanti Shukla, Executive Director, United Way Mumbai, said, “SCMM highlights the generosity of numerous people who want to make a difference. As official philanthropy partner, United Way Mumbai facilitates fundraising for numerous causes, making SCMM the single largest philanthropic sporting event in India. The SCMM charity figures have risen steadily from INR 1.44 crores in 2004 to INR 32.93 crores in 2017. 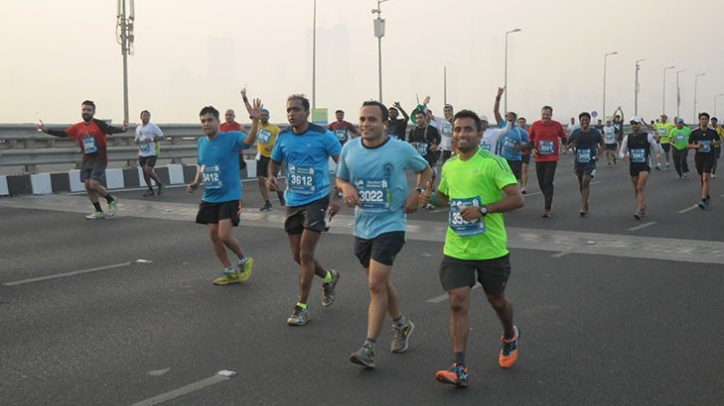 The Standard Chartered Mumbai Marathon has consistently galvanized the NGOs, India Inc. and individuals to bring about a social change. • The top three NGOs to raise funds were Shrimad Rajchandra Love and Care, Isha Vidya; and Amar Seva Sangam, which raised over INR 6.58 crores collectively. Today, Procam’s distance running events have emerged as the largest cause agnostic fundraising platforms in the country. Since 2004, they have brought to light causes of more than 700 NGOs, raising over INR 261 crores in charity.